Joining in again with Annie at Mammasaurus for her How Does Your Garden Grow linky (was lovely to see you in person at BritMumsLive albeit very brief!!). 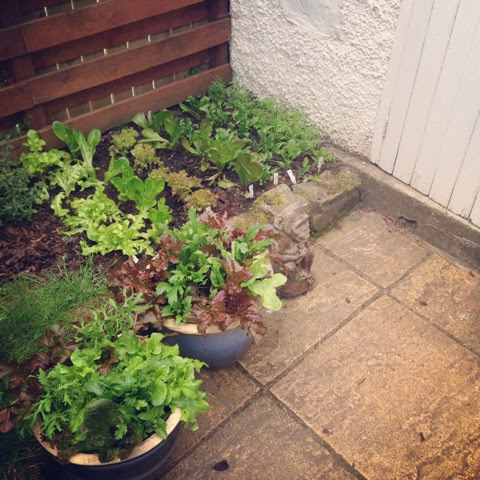 Here's Glasgow Mummy with "Lettuce Watch"! What a remarkable difference in just a few days!!! 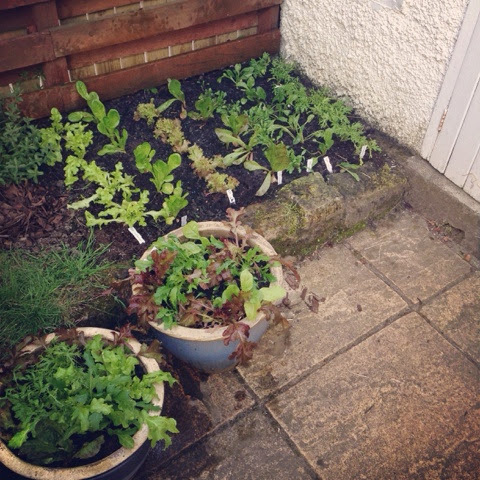 The baby lettuces are changing every day, and R & I are now able to enjoy yummy fresh salads with our homegrown lettuces!!! So impressed with myself! Transformed into an amazing salad!! Tasted brilliant too!! If you go back my previous post here when I planted these babies, then you'll see an even bigger difference! That's just in 2 weeks!!! The only thing I've done is put down some slug pellets and I've watered them every evening (apart from when I was in London for BritMums Live but Bex from Olive Dragonfly popped over to water them in my absence - thank you!). I know you'll probably be fed up with my vegetable chat, but I'm seriously so chuffed. Most things I plant tend to die really quickly!! Anyway, I can highly recommend Rocket Gardens and I'll definitely be buying from them in the future. (This isn't a sponsored post by the way, I just wanted to share this brand with you because I've had so much success with my purchase! ).